High alpine beech forest (1000masl) interior with undergrowth plastered during a snow storm with fresh snowfall. Red, Mountain and silver beech trees (Fuscospora fusca, Fuscospora cliffortioides, Lophozonia menziesii). 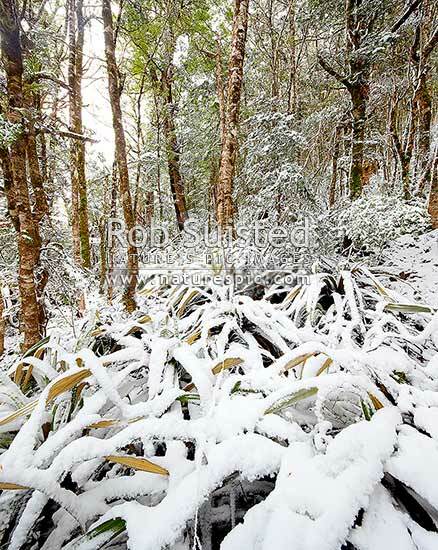 Square format, Kahurangi National Park, Tasman District, Tasman Region, New Zealand (NZ), stock photo.